In Gosvenor London Ltd v Aygun Aluminium UK Ltd  EWHC 227 (TCC) Mr Justice Fraser made it clear that draft judgments were not to be taken as an invitation to the parties to embark on a second round of submissions. The claimant sought summary judgement for the amount following an adjudication. The defendant opposed it on the grounds that the claimant had been fraudulent. The claimant did not put in any evidence in response to the defendant’s evidence of fraud. In a reserved judgment the judge held that the claimant was entitled to judgment, however there would be a stay pending resolution of the issues put forward by the defendant. The judgment, in draft, was sent out to all the parties. After receipt of the judgment the claimant lodged a document that sought. That the court should recall and reconsider its draft document. If the court was not willing to do that, the grant of permission to appeal. A stay of execution with the payment of the sum ordered by the ajudicator into court pending resolution of the proceedings. Three witness statements had been served on behalf of the defendant setting out serious allegations against the claimant. The judge noted that the claimant had filed a document which attempted to re-open the application. Aygun served its own document in response, opposing the application to recall and reconsider the draft judgment. At the hearing of 27 February 2018, which had been set for the handing down of the draft judgment, I heard submissions on this subject. Various witness statements were put before the court in relation to the evidence that would be adduced were permission given. I ruled that I would not admit such evidence, but also that I would not hand down the draft judgment and would have a further short hearing solely to deal with the addition to the Wimbledon v Vago principles as set out in  above. I also explained that I would provide my detailed reasons for this approach in the judgment that would follow that further hearing. That hearing took place on 20 March 2018. The principles that apply to such an application are as follows. It is within the powers of the judge to alter his or her judgment at any time before it is entered and perfected (per the Court of Appeal in Re Barrell Enterprises  1 WLR 19; Robinson v Fernsby  EWCA Civ 1820). Given a judgment is simply in draft form until it is handed down, there is no doubt therefore that the jurisdiction exists. In Egan v Motor Services (Bath) Ltd  EWCA Civ 1002,  1 All ER 1156, the Court of Appeal noted and deprecated the growing practice of counsel writing to the judge upon receipt of draft judgment, asking for reconsideration of the conclusions contained within it. It is my experience that this occurs far more frequently than ought to be expected; it could be described as now being almost routine. Of course, there are very occasionally particular circumstances that warrant it. As a single example, in Energysolutions EU Ltd v Nuclear Development Authority (No.2)(Liability)  EWHC 1988 (TCC), very shortly before the formal handing down of a very lengthy judgment concerned with public procurement, the NDA discovered that every single witness of fact called by the claimant had a contractual agreement in place with the claimant for payment of a cash bonus in the event of success in the litigation. This had only just come to the notice of the solicitors acting for the claimant, who acted very promptly and properly and disclosed this fact, and the agreements. This led to further hearings, cross-examination both of solicitors themselves (not previously called as witnesses) and of the factual witnesses themselves, and reconsideration of all the findings in that judgment. In Egan v Motor Services (Bath) Ltd the Court of Appeal made it clear that circulation of a draft is not intended to provide counsel with an opportunity to re-argue the issues in the case, and also it was only in the most exceptional circumstances that it was appropriate to ask the judge to reconsider a point of substance. Examples given were where counsel feels that the judge (i) had not given adequate reasons for some aspect of his decision, or (ii) had decided the case on a point which was not properly argued or has relied on an authority which was not considered. However, in the case of In re L (Children) (Preliminary Finding: Power to Reverse)  UKSC 8;  1 WLR 634 the Supreme Court held that a judge’s power to recall and reconsider his or her judgment is not restricted to “exceptional circumstances”. Whether a judge should exercise the discretion to recall a judgment will depend upon all the circumstances of the case. That is the approach that I adopted here. In Space Airconditioning Plc v Guy  EWCA Civ 1664;  1 WLR 1293, the Court of Appeal stated that: (1) a judgment should be an accurate record of the judge’s findings and of the reasons for the decision; (2) if a judgment contains what the judge acknowledges is an error when it is pointed out, the judgment should be corrected, unless there is some very good reason for not doing so; (3) it should not normally be necessary for a party to bring an appeal to correct an error, if it turns out that the parties and the judge agree that there is an error and that a correction should be made. In that case, the court directed a re-trial on the basis that the erroneous finding in the judgment could properly be described as an “irregularity in the proceedings” which made the decision an “unjust” one within the meaning of the old RSC r.52.11(3) – now CPR Part 52.21(3)(b). “27. As I have explained, this is not a case where the Judgment left open any issue concerning Penalties and Interest other than the matter of calculation. It is not, therefore, a case where there can be said to be any error or misunderstanding which needs to be corrected and which it is appropriate to raise with the trial judge to allow him or her an opportunity address the point. This was a case, however, as the passage makes clear, and as explained at , where there was an error on the part of the judge when preparing the judgment. It was not a case such as the present where the Court has made no error but one of the parties is seeking to re-open an issue based on evidence which has come to light after the judgment has been handed down. That is a very different situation. “41. Nevertheless, in my judgment, I am bound by the decision in Stewart v. Engel, following the spirit, if not the letter, of the decision in Barrell in the light now of the requirements of the overriding principle, to regard the need for exceptional circumstances as a requirement for the proper exercise of the jurisdiction to reconsider a decision. If in Pittalis Dillon LJ is to be understood as saying by reference to Millensted that the discretion is a wide open one, unrestricted by the requirement of exceptional circumstances, then I would with respect feel bound to disagree. In my judgment the width or narrowness of the discretion was simply not in issue in Millensted. As for Pittalis, both Fox LJ and Dillon LJ accepted that the circumstances in that case were exceptional. Similar statements to those in the last quoted passage of Picken J concerning the requirement for finality in litigation have been made at appellate level too. In Ogale Community and others v Royal Dutch Shell and another  EWCA Civ 191, a lengthy appeal was heard in November 2017 from a first instance decision striking out a claim against the defendants in relation to oil pollution in the Niger Delta in Africa. In January 2018 the (ultimately unsuccessful) appellants made an application to the Court of Appeal that giving judgment should be postponed until after the appellants had the opportunity to consider “a whole raft of yet further Shell documentation” that had come into their possession and which could be potentially relevant. In stating why this application was refused, the Chancellor of the High Court stated at  “In my judgment, there has to be finality to litigation determining jurisdictional questions within a reasonable timescale and, for that reason alone, proceedings cannot be delayed to allow for unlimited attempts to gather evidence that might be said to support the claim.” I would only add to those observations that it is equally, if not more important, that resolution of disputes concerning enforcement of adjudication decisions (and any stay upon enforcement) be dealt with in a reasonable timescale too. Indeed, a reasonable timescale in terms of adjudication business is likely to be far shorter than in other spheres of litigation. The intention of Parliament, as has been stated many times in a wide number of judgments, both at first instance and appellate level, is for adjudication to provide a speedy mechanism for the resolution of disputes, but only in an interim manner. Adjudicators’ decisions do not determine the parties’ substantive rights in a final and binding way. That is done by litigation or arbitration. It is therefore entirely counter-productive, in proceedings for adjudication enforcement, to permit those proceedings to be re-opened in the way Gosvenor seeks in this case, so that further evidence and argument can be deployed on issues that were already before the court, and in my judgment clearly before the court, on the last occasion. In my judgment, all these statements point in the same direction. 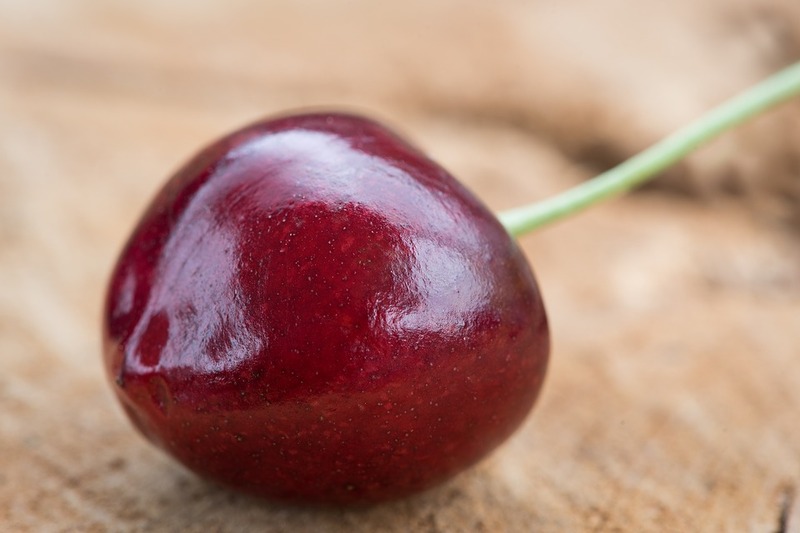 Very careful consideration must be given to such applications, and litigants should not be given the ability to have a second bite at the cherry. The distribution of a draft judgment under CPR Part 40 should not be seen (as it seems to be, by many legal advisers currently) simply as an open invitation to embark upon an additional round of the litigation, remedying lacunae in their own evidence and raising further arguments. If a matter could have been raised at the first hearing, then it should be. If time is needed to deal with something, then the court must be asked for time – this will not always be given, but the matter must be dealt with then. It is against those principles that I consider Gosvenor’s applications. In my judgment, the factual correction sought by Gosvenor to  of the draft judgment is a factual error and I am grateful to Ms White for drawing it to my attention. The passage that had stated “Further, by 15 May 2017 (the date of the Completion Agreement) the works were 97% completed. The sums claimed in the adjudication were for the period after that” was factually incorrect and upon closer analysis the sums claimed in the adjudication were for the period from 12 November 2016, not 15 May 2017. I have therefore corrected that passage in this judgment which makes it clear from what date the sums sought in the adjudication related. However, this does not make any difference to the analysis that Gosvenor was entitled to summary judgment on the decision, nor does it make any difference to the analysis concerning the stay of execution. Adjudication is a temporarily binding dispute resolution process that is always subject to the final resolution of the dispute in litigation or arbitration. The details of the underlying substantive claim, resolved on that basis by an adjudicator, and to which date range that dispute relates, are not relevant to the matters before me. I have found that the allegations of fraud by Aygun could and should have been raised in the adjudication. Also, I recited in my first draft judgment that the parties had not been given an opportunity fully to address the addition of the new principle (g) to the Wimbledon v Vago principles. Although the issue of fraud impacting upon a stay of execution was argued – indeed, it was a mainstay of Mr Sampson’s approach, and it is not accurate to submit as Ms White does that the point was not argued – I did not provide the parties with any opportunity to make submissions on the addition of principle (g) as drafted. In my judgment therefore, both parties should have such an opportunity, and that was why I re-listed the matter for a hearing on 21 March 2018 to address that one issue. I should also add, as pointed out already at  above, that the issue of fraud being potentially relevant to an application for a stay of execution is expressly referred to in Akenhead J’s proposition (b) in SG South with which Jackson LJ agreed. The submission by Ms White that the only case that Gosvenor had to meet on 1 February 2018 was on the basis of “existing law”, that this explained why no evidence was put in by Gosvenor to rebut the fraud allegations, and that I have now applied different or “new” law, is simply wrong. I would go further. CPR Part 83.7(4) identifies “special circumstances” in respect of the grant of a stay. It was clear from the evidence served on 15 January 2018 by Aygun that the fraud allegations were being relied upon in this respect; indeed, given the terms of that evidence, I do not see how that can be sensibly argued to the contrary. As a single example only, Mr Amucer’s witness statement stated in paragraph 25 “in addition to the question of fraud Aygun is also extremely concerned about the financial viability of Gosvenor” before going on to deal with the Companies House information then available. A stay was ordered in that case, nevertheless. Gosvenor also argued that Aygun should be required to pay the sum into court instead of being allowed to retain it. That is sometimes done, but I see no reason to make such an order in this case. In any event, the submissions that any conditions should be attached to the imposition of a stay, such as a requirement upon Aygun to commence substantive proceedings, are in my judgment misconceived. Gosvenor is as entitled as Aygun to issue substantive proceedings in relation to the substantive dispute, regardless of the outcome on either of these applications. Although Mr Sampson for Aygun has submitted that Aygun is anxious to issue proceedings itself and will do so, I am not prepared to make an order compelling Aygun to that effect. If Gosvenor wishes to do so it can issue proceedings itself, regardless of the outcome concerning the adjudicator’s decision. Nor am I prepared to order Aygun to pay the sum the subject of the adjudicator’s decision into court.